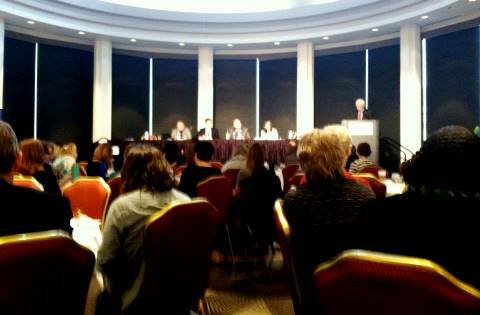 On Jan. 23, I took part in the 2015 Minnesota Children and Youth Issues briefing for legislators and interested organizations. At these events, I’m used to being one of just a handful of people representing Greater Minnesota. So I was thrilled to hear two high school students from New York Mills speak on a youth perspectives panel. Karina and Heather are members of the Minnesota Youth Council, a collaboration of youth and adults working together to empower and mobilize youth across the state to voice and take action on important issues. The two did a wonderful job. I so appreciated hearing members of a younger generation from rural Minnesota adding their voices, loud and clear, to the issues that impact our state. From early childhood to teens, our youth are a precious resource—and our legacy. With young people like Karina and Heather, we will be in good hands.